Oh how much I adore this time of year that is known as Spring! I am a Spring baby after all. There’s just something so romantic about all of the blossoms and the feel that comes along with everything blossoming back to life. 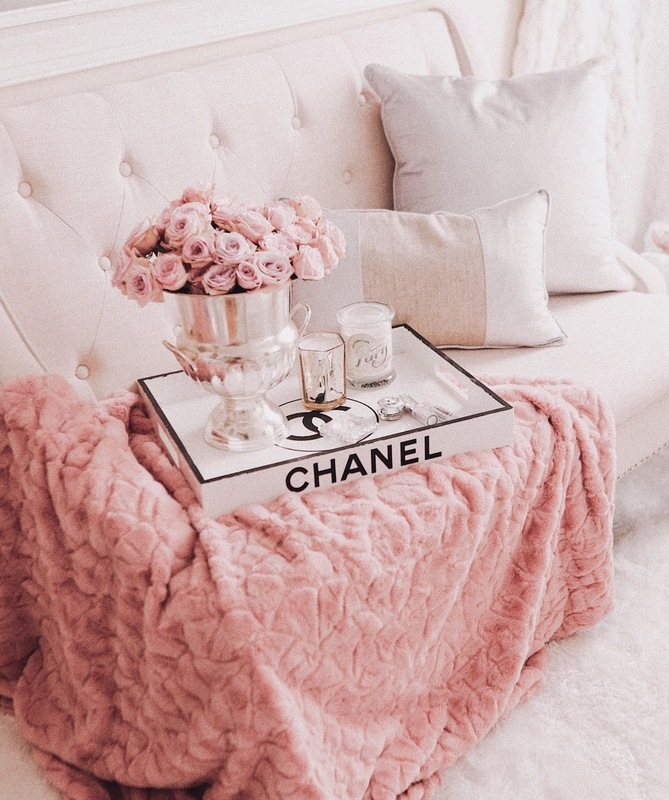 At just about any time of the year you’ll find florals and roses in my home but for Spring this year we are taking it to the next level and turning our home into our own spring haven! If you’ve been wanting to do the same or learn exactly how to do such a thing a thing, keep reading my loves. I think that each person has their own visual of what a spring haven or spring sanctuary would like. Mine consists of beautiful blooms and greenery that sparks a romantic feel in just about every room. Since roses are my all time favorite flower I’ve focused on a theme surrounding them. We’ve added blooms and garlands to nearly each room and are even working on special floral wall right now as we speak. 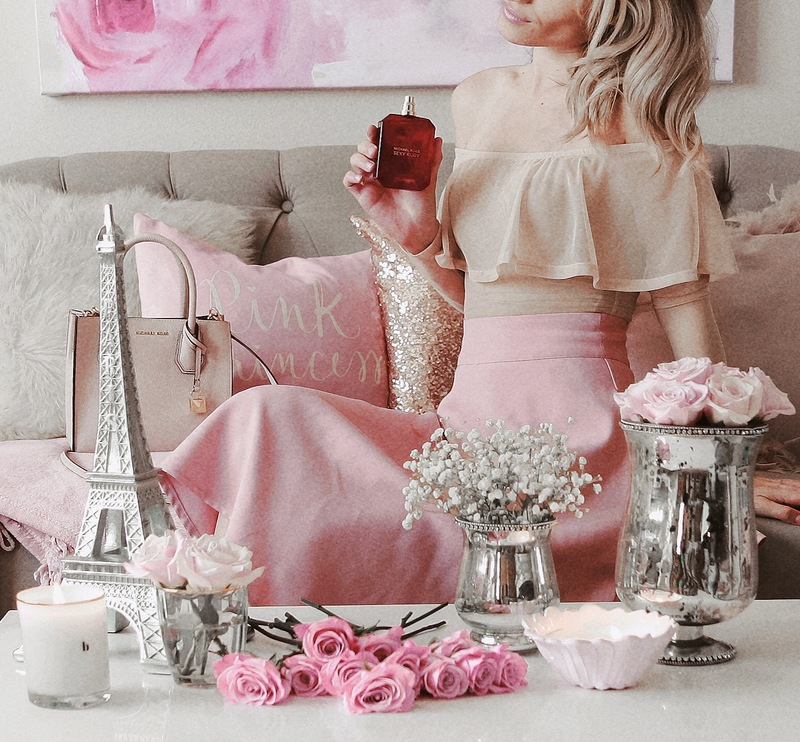 Now I couldn’t imagine a Spring haven or Spring period without beautiful wreaths and floral arrangements and that I did find thanks to Balsam Hill. They have such a beautiful assortment of florals and wreaths for spring. I wanted to do something a little different inside than I normally do and that was to style multiple wreaths on windows in our seating area. The wreath I chose for this look was Balsam Hill’s Diana Rose Wreath. I chose this specific style because of the roses, of course, and the greenery matches the garlands that I currently have. I thought it would go perfect with what we’ve done so far but I also felt that it needed more of a personal touch. For that I looked to my handy dandy little helper, Chloe. She helped me add Balsam Hill’s Ivory Rose Flower Stems to the wreaths and added beautiful satin ribbons to the wreaths as well. We also got the beautiful Jane Flower Arrangement by Balsam Hill. With everything coming together, when we now enter our family room area it just exudes feelings of being in a beautiful garden or inside the story of a midsummers dream. I love it! The spring decorating didn’t end there. We also picked up another beautiful wreath by Balsam Hill, The Japanese Magnolia Wreath. And what’s so special about this wreath is that Balsam Hill has partnered with me to give one away to you! This giveaway you’ll be able to find over on my Instagram Saturday evening. I can’t wait! I look forward to sharing more. views our Spring haven with you as it continues to unfold and I hope that you’ve enjoyed seeing what we’ve done so far with the help of Balsam Hill’s beautiful Spring line.